In the penultimate part of our series on the role of general practice in cancer care, the authors discuss the identiﬁcation of patients who need palliative care in the community, and look at best practice in caring for cancer patients nearing the end of their life. Palliative and end of life care is a traditional and core work-stream for primary care teams – it only became a secondary care specialty in its own right in the 1980s. When people die peacefully in their preferred place of care as a result of excellent and co-ordinated care, the rewards are great. When things go less well or are perceived to do so, the repercussions for the bereaved and for the professionals involved can be longstanding and stressful. The abandonment of the Liverpool Care Pathway in England has caused uncertainty among both the public and professionals, but one positive outcome of these events is an increasing awareness of the issues raised by the controversy. The importance of excellent end of life care encompassing clear communication among all those involved has been clearly highlighted. Has this person been diagnosed with a degenerative or life-limiting condition? If the answer to these questions is yes, then it would be appropriate to add this patient to your supportive care register (SCR). The use of a 12-month timescale as a criterion can however be restrictive. When planning care, it is arguable that assessment of prognosis is less important than that of need. Because of this, and especially for patients with an uncertain disease trajectory, there should be no concern about a patient being on the SCR for more than 12 months. Traditionally the majority of patients on SCRs have a cancer diagnosis;2 however, patients with non-malignant life-limiting conditions warrant the same care, although they may be harder to identify. The disease trajectory of these patients is acknowledged to be very variable, but preparation for crises can avoid unnecessary and unwanted intervention and maximise the opportunity for excellent end of life care and a “good death”. The number of elderly frail patients with cognitive impairment and multiple co-morbidities is increasing. These people should also benefit from a high standard of end of life care in their normal place of residence – often a care or nursing home. The use of a risk stratification tool to identify patients at risk of recurrent hospital admission should support identification of patients appropriate for SCR inclusion. What is the value of a SCR – and what does it mean for patients? GPs are facing an increasing workload, and creating a supportive care register simply to identify patients who are reaching the end of life may understandably be seen as just adding to this. However, investing time in a structured approach to looking after such patients, thereby enabling the wider team to improve planned care, can reduce the need for crisis intervention and unplanned admissions. In addition, improved understanding of the role of other team members and mutual education by experience will benefit professionals as well as patients. When (and if) to inform patients about the SCR should be decided on an individual basis. Each team can decide what they are able to offer as a particular “privilege” to these patients; for instance in many practices patients on the SCR are told that they can order prescriptions more urgently than under routine arrangements. In addition, informing a patient that the SCR arrangements exist can be a useful start to advance care planning conversations and to seeking consent for discussions with family members, either at the time or in the future. As well as recording such conversations in medical records, patient-held records can be introduced at this stage. In order to achieve the relevant Quality Outcomes Framework (QOF) points, practices must meet with the wider team on a regular basis – usually every 4-6 weeks – to discuss all patients on their SCR. Where possible, projection of patient records on a screen can be an inclusive and efficient way of running the meeting. Templates for SCR meeting discussions are available on primary care computer systems. Some teams aim to identify extent of disease progression for each individual. One example of how this can be done is the RAG or Red Amber Green system, shown below. GREEN - Patient has a life-limiting condition and is stable but thought likely to have a prognosis of 12 months or less. As well as the Red Amber and Green categories, it can be useful to have a “pending” list of patients who are likely to have a prognosis of greater than 12 months but have been diagnosed with a life-limiting condition. After death, the MDT meeting is an opportunity to review the need for bereavement follow up, including who should undertake this, as well as for a brief case review and whether any lessons can be learned by the team. The primary care team providing end of life care used to consist of the GP working alongside district nurses and friends and family. Now we have the benefit of a much wider team. This expanding team, including carers and nurses in care homes, cannot function for the benefit of patients without good co-ordination and communication. The development of the Gold Standards Framework and similar initiatives has been instrumental in achieving this but will not be effective without commitment and genuine engagement. Specialist palliative care nurses (many of them formerly district nurses) are often affiliated to national charities, such as Macmillan Cancer Support, Marie Curie Cancer Care, or to local independent hospices/community palliative care specialist teams. Their function is to liaise with patients, GPs, district nurses and, when required, other specialists in the palliative care team. District nurses provide the “hands on” care that patients need as they become more unwell. Ideally they should have an opportunity to get to know the patient and family by occasional contact before they are needed for intensive involvement. They are also able to order some equipment for patients and will administer injectable medication that has been prescribed including via syringe driver. Practice SCR co-ordinator. Where supportive care registers are used most effectively and efficiently, there will be a dedicated member of the administrative staff co-ordinating the team meetings. Doctors. As many of the doctors as possible should be present at the meeting so that very unwell patients are known to all the clinicians likely to be involved in their care. Discussion of patients and symptom management can be educational and can be recorded for appraisals as a professional conversation. Allied professionals. Specialist nurses in neuro- degenerative diseases/respiratory/cardiac disease and nursing home leads may wish to attend where they feel it would be useful. When concluding the conversation, empathise and acknowledge feelings, for instance: “I know this may seem a stupid question just now, but how are you feeling?” and “I understand this is a lot to take in, do you have anyone you can talk to? We can talk again”. 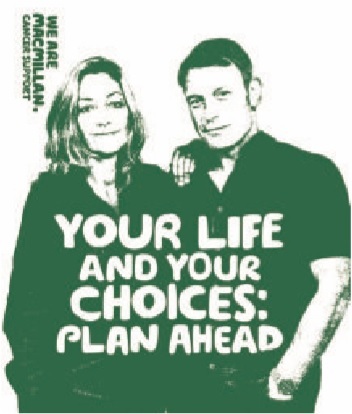 More principles, tips and useful phrases can be found in the professional resources section of the Macmillan Cancer Support website (www.macmillan.org.uk). Advance care planning (ACP) is essential to achieve high quality end of life care. This section covers some of the principles used in ACP. The final decision regarding whether to start resuscitation in the event of cardio-pulmonary arrest is a clinical one. Although it is recommended best practice to discuss the decision with relatives, it is vital that they do not feel the burden of actually making the decision. It must also be made clear that despite Do Not Attempt Cardiopulmonary Resuscitation (DNACPR) documentation being completed, they can expect that full symptom control and supportive care is still to be delivered and in fact optimised. It is made clear that not to either discuss or document clear reasons why discussion is inappropriate is unacceptable. This clearly has implications for primary care teams. It is also clearly stated that the Resuscitation Council (UK) wishes to promote: ‘increased use of advance care planning, including making decisions about CPR, as part of high-quality clinical care of people approaching the end of their life’. We often think of DNACPR documentation and Preferred Place of Care and Death as the building blocks of ACP. It is essential to remember that there are many other things that are important to people about how they are looked after when they may not be able to communicate their wishes. Who is important to the person? Is there anything the person particularly likes or dislikes, e.g. baths/music/television/quiet surroundings? Do they have pets that are important for them to maintain contact with? What do they want to happen after they have died – including funeral wishes? The Health and Welfare LPA allows the attorney(s) to make decisions about daily routine/medical care/place of care and life-sustaining treatment. The person making their LPA registration (donor) must be 18 or over and have mental capacity at the time. If they do not, a court-appointed deputy (who may be a relative) will be needed to act on their behalf. Further detail regarding legal frameworks in the different parts of the UK is outside the scope of this article but can be found at www.gov.uk/power-of- attorney/overview. In summary, the identification of patients approaching the end of life is essential as a first step in providing excellent care. Excellent communication and involvement of the multidisciplinary team will facilitate patients dying in the best way possible in the place they choose. The work involved should not be underestimated, but neither should the benefits to patients and their loved ones and also professionals. For many reasons, providing high quality care to patients at the end of life is not always possible, but when this can be done, job satisfaction and organisation of workload can reduce stress in a very busy working life. In the next issue of BJFM, we will cover symptom management at the end of life, including palliative care emergencies, and discuss the latest guidance to follow the phasing out of the Liverpool Care Pathway.